Mr. Lau is a member and has been a board member of numerous industry organizations, including the National Association of Insurance and Financial Advisors (NAIFA), the Society of Financial Service Professionals, the Association for Advanced Life Underwriting (AALU) and the Financial and Estate Planning Council of Metro Detroit, Inc. David is a Life and Qualifying Member of the Million Dollar Round Table, and a frequent speaker to industry and community groups. 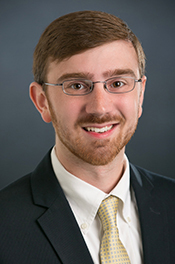 Jonathan graduated from DePauw University’s Honor Scholar Program with a Bachelor of Arts. Following in the footsteps of his grandfather, Donald F. Lau, and his father, David, Jonathan joined Lau & Lau Associates in 2004. 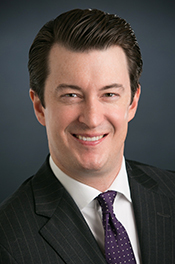 He has been integral in developing the firm’s robust, institutional private client investment management offerings. In 2013, Jonathan completed the Master of Science in Financial Services degree at The American College (Bryn Mawr, Pennsylvania). In 2014, he completed a graduate level executive certificate program in private wealth management at the University of Chicago Booth School of Business. 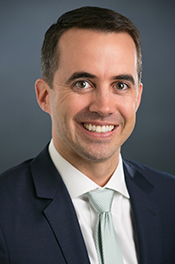 Jonathan is the third generation at Lau & Lau Associates and is committed to continuing the firm’s legacy of highly personalized client service and comprehensive wealth planning. A Certified Private Wealth Advisor® designee, he specializes in the wealth management process: the accumulation, preservation and transfer of wealth – and greatly enjoys developing long-term client relationships. Jonathan is a member of the Investment Management Consultants Association®, the National Association of Insurance and Financial Advisors (NAIFA), the Society of Financial Services Professionals and the Financial and Estate Planning Council of Metro Detroit, Inc.
Charlie joined Lau & Lau Associates in 2014 bringing with him over 35 years of experience in financial services, most recently as the CFO of Ally Insurance. 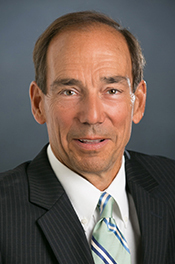 Prior to his time at Ally, Charlie served as the CFO of LaSalle Bank, Michigan and, before that, CFO of Michigan National Corporation. He also served two terms on the Board of Directors of the Federal Home Loan Bank of Indianapolis. 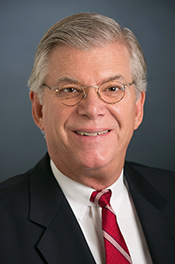 A native of Pittsburgh, Charlie graduated from Grove City College in 1976 with a degree in Accounting and obtained his MBA with a concentration in Finance from the University of Pittsburgh in 1982. Charlie brings to the Lau & Lau Associates team a lifelong passion for wealth planning and the desire to help families obtain their financial goals. 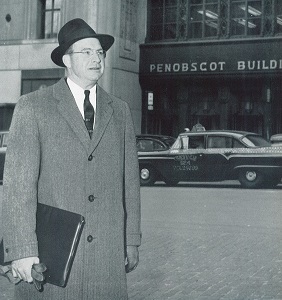 A CPA, Charlie is a member of both the American Institute of Certified Public Accounting and the Michigan Institute of Certified Public Accounting. Charles E. VanSwearingen is licensed but not practicing as a CPA on behalf of Lau & Lau Associates, LLC or MML Investors Services, LLC. Brandon joined Lau & Lau Associates in 2013 as a Client Relationship Manager, working with both clients and their professional advisors in account and policy service. Brandon has worked in the financial services field since 2008, most recently as a senior branch office administrator at a national independent broker-dealer firm. 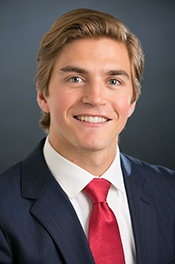 He graduated with distinction from the University of Michigan (Ann Arbor) and holds a Bachelor of Arts degree in Anthropology and History; he holds the FINRA Series 6 and 63 securities registrations. 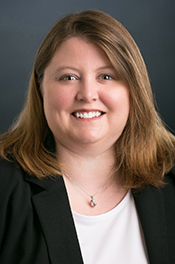 Shelly joined Lau & Lau Associates in 2012 following an 11-year career as a producer and service associate with a leading national property and casualty insurance carrier. She holds a Bachelor of Science degree in Mathematics and Spanish from Central Michigan University. She currently serves as a Client Relationship Manager, working with both clients and their professional advisors in account and policy service. The CLU® is the property of The American College of Financial Services, which reserves sole rights to its use, and is used by permission. 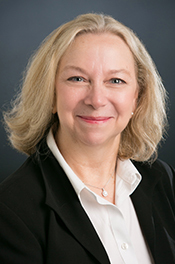 Leslie joined Lau & Lau Associates in 2014 as an Office Administrator, following a career in advertising and purchasing. Leslie has a passion for efficiency and organization and brings a positive attitude to everything she does. Leslie grew up in Bloomfield Hills and studied at Mary Baldwin College in Staunton, Virginia.